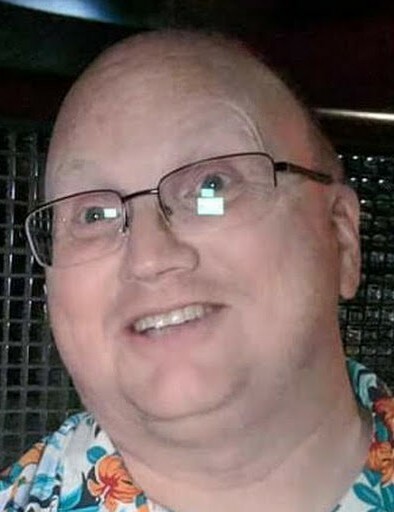 Ronald “RJ” LeSech, 46, of Las Vegas, NV, formerly of Sturgeon Bay, WI, passed away March 25, 2019 at Summerlin Medical Center in Las Vegas, with family at his side, after a short but devastating illness diagnosed only the month before. RJ was born January 27, 1973 in LaGrange, IL, (favorite) son of Ronald and Sue (Graf) LeSech. 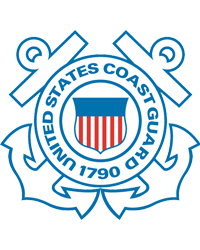 He graduated from Sturgeon Bay High School with the Class of 1992 before entering the U.S. Navy. He served ten years and changed his service to the U.S. Coast Guard, serving ten more years until his military retirement in 2012. RJ then attended City College of San Francisco, CA where he graduated with high honors and his degree in IT, and there he met the love of his life. On October 10, 2018, he married his soulmate and best friend, Donna Nicole Smith in Las Vegas. RJ spent much of his time reading and learning new things, always looking for another adventure. He and Donna loved exploring the world of fine dining and were members of a whiskey tasting club. RJ was involved with his family by weekly calls to his mother, father, and sisters at times as their remote IT person. Enjoying his role as dad, he was on the sidelines for CJ’s soccer games and band concerts. RJ had a sick sense of humor and there was much laughter from him with playing on words. He was a kind, generous, positive person and always tried to help others see the brighter side of things. He left behind many that will miss him including his wife, Donna and son, CJ of Las Vegas, NV; his parents, Ronald and Sue LeSech of Sturgeon Bay, WI; two sisters, Lori Wery (Bill Pugh) of Sturgeon Bay, WI and Lisa Conlon (Keith Ehlers) of Menasha; niece, Jordan Conlon; nephews, Jackson and Austin Wery, Jared and Joshua Conlon; many dear aunts and uncles; cousins; and friends. He was preceded in death by his grandparents, Robert and Eunice Graf, Henry LeSech and Marian Myers. Memorial visitation will be held at Huehns Funeral Home, 1414 Michigan St., Sturgeon Bay, WI 54235 on Saturday, May 4, 2019 from 1:00 p.m. until the time of the memorial service at 3:00 p.m. Military honors will follow at the funeral home. In lieu of flowers, RJ’s family asks that donations be made to leukemia research to find a cure. Huehns Funeral Home in Sturgeon Bay, WI is assisting the LeSech family. Expressions of sympathy, memories, and photos of RJ may be shared with his family through his tribute page at www.huehnsfuneralhome.com. There's still time to send flowers to the Memorial Gathering at the Huehns Funeral Home, Inc. & Door County Crematory LLC from 1:00 PM to 2:50 PM on May 4, 2019.